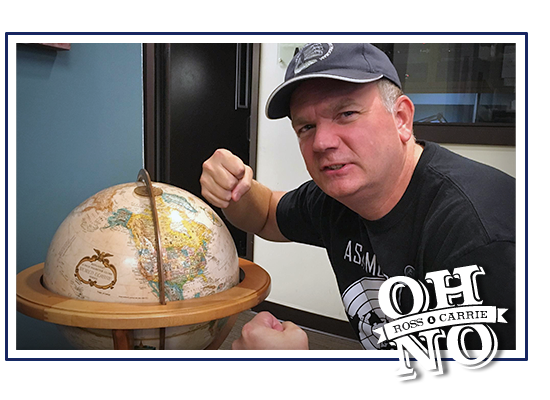 Ross and Carrie are delighted to have Flat Earth theorist Mark Sargent on for a lively conversation about everything under the... dome. The popular YouTube personality explains some of his favorite proofs that Earth isn't a globe, explores NASA's lies, explains how the dome projection system works, and connects the dots between Flat Earth and some of his other "favorite" conspiracy theories. Enjoy one of our favorite interviews yet!Please help support this and all our investigations at maximumfun.org/donate! Tagged with Flat Earth, Firmament, NASA, conspiracy, Mark Sargent, Under the Dome. November 30, 2017 by Oh No Ross and Carrie.